If you own a Switch, you’ve probably noticed that it’s great in handheld mode but not so great when using it in docked mode due to the controller. The controller that comes with the Switch is great for certain games undocked (like ARMS) but not as good for games where you assemble them on the controller dock. The controller dock is kind of awkward and isn’t the greatest compared to Xbox One or PS4 controllers. Enter the Nintendo Switch Pro Controller. 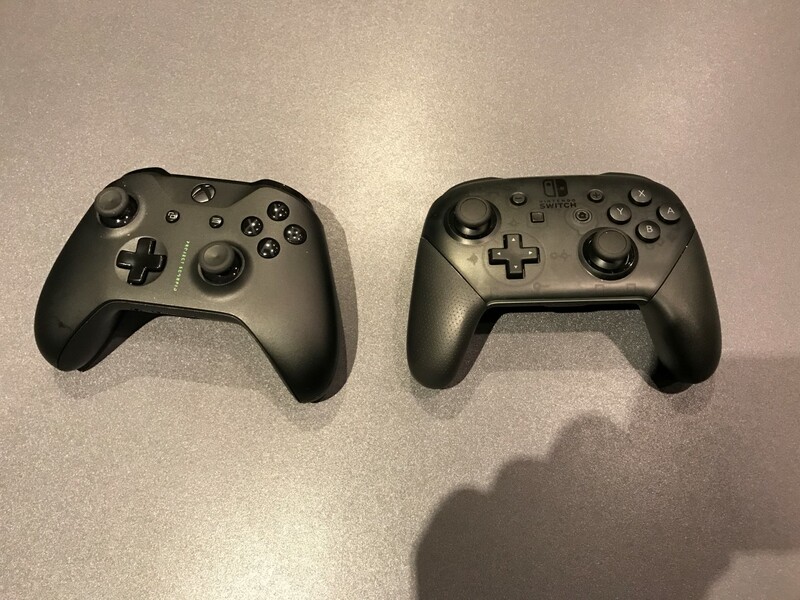 Unlike the controller dock, the pro controller is the Nintendo equivalent to the Xbox One and PS4 controllers. It feels a lot better in your hand than the dock solution. Setting it up is pretty easy. You do it by hooking up your USB charging cable to the dock and your controller, and then powering on the console. Doing this automatically binds the controller to the console. I was surprised by how easy it was, most of the time you have to hold a button or something to bind the controller to the console. 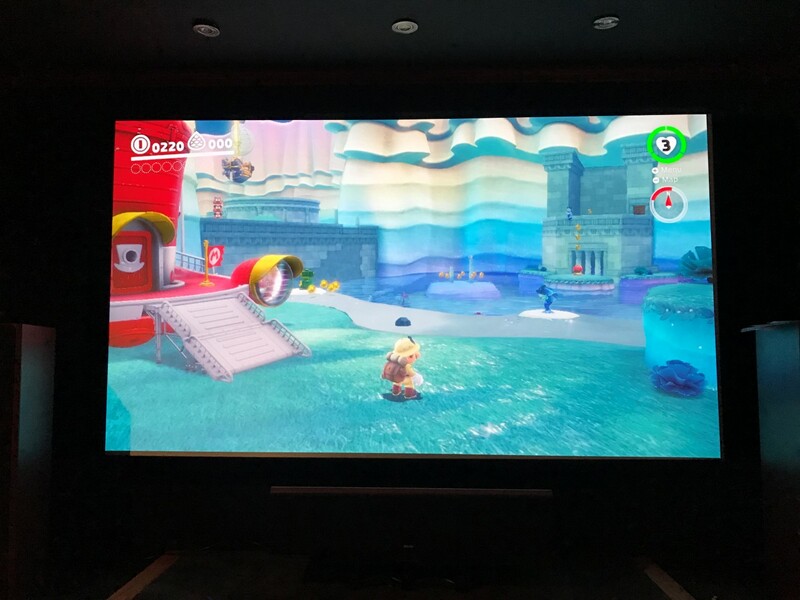 To test it out, I first played Super Mario Odyssey. I’ve been playing that game mostly in handheld mode so it was a good chance to see how it compared to that. 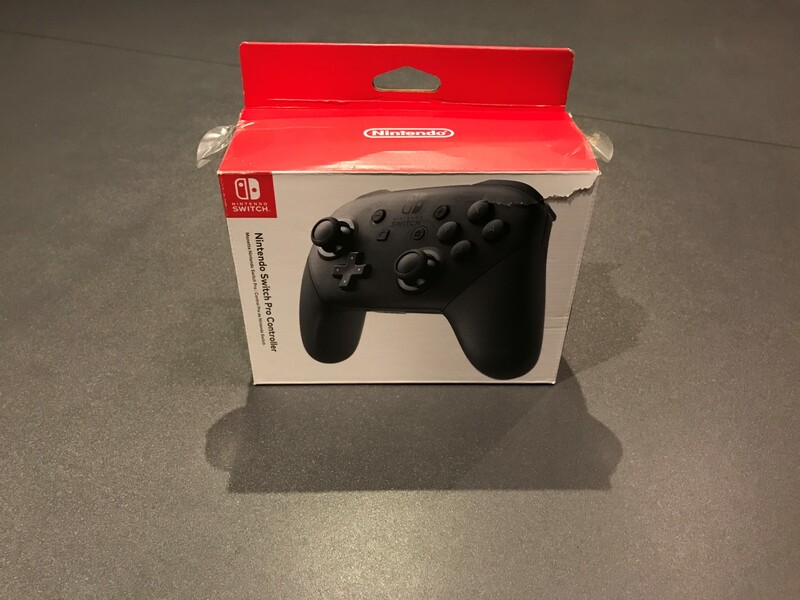 When I first used it, it felt a little weird due to having used the joycon controller for the past 9 months. My hands usually were much farther apart and typically were also holding up the screen. The second game I tried was NBA Playgrounds. I’m sure some of you are like what? Despite its weird name, it’s actually a pretty decent game, one my favorites on the switch. I wanted to see how well the controller worked with something like Tetris that requires pretty good precision to play. It worked really well, I did better than I normally do on the game. After a while of playing, I really liked it. It’s much better than the joycons though I still think the Xbox One controller is my overall favorite out of the modern consoles. It definitely makes playing games on the TV a lot easier. 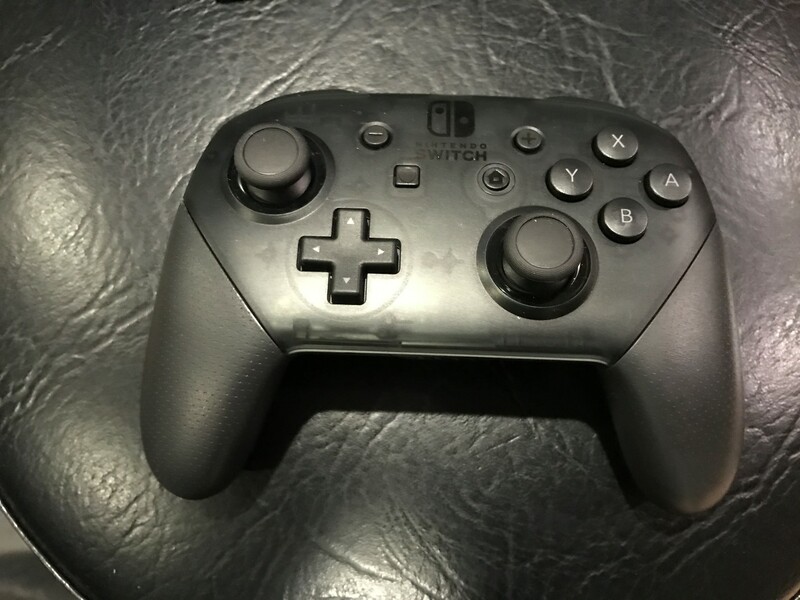 The pro controller is charged via a USB C cord. This means it won’t be compatible with most of your cords around the house. It does come with the cord you need though so that helps quite a bit. Nintendo has switched to this standard for the Switch, which is nice because it charges faster but annoying because nothing else has really moved to that standard yet. The battery life is supposed to be 40 hours. I haven’t even ran out of charge yet so I can’t speak to that unfortunately. It is nice it is rechargable, my Xbox One controllers are constantly running through batteries so that reduces that cost. It did come uncharged out of the box, so if you’re planning on playing with it immediately take that into account. 40 hours is a long time, much longer than any other controller I can remember. The controller costs $69, which is $10 more than the controllers from Xbox or PS4. I kind of think it’s $10 too high, there’s not really any reason it should be any more expensive than their controllers. It feels like a really nice controller but not any more than the competitors. Your other option is getting the dual joycons for a second controller. If you’re playing 64 player games, that’s probably the better way to go at least to start as buying those costs $79 and allows 2 more players while this is $69 and only adds one player. If you’re playing a lot of single player games in the dock, the Nintendo Switch Pro Controller is an essential purchase. You’ll be using it for years and it’s vastly superior to the joycon dock solution. The biggest drawback is the cost, at $69 it’s 1/4 the cost of the switch. However, if you get years of use out of it, it will be well worth it. Plus, you can avoid using the joycons, which are my least favorite controller of the current generation of consoles. They’re good for handheld mode and certain motion games, but not good for your normal single player games.